Just south and west of Chula Vista is the village of San Antonio. This village has remained largely unchanged with the influx of North Americans. At first glance you may not realize there are North Americans in the village, but please. look again. 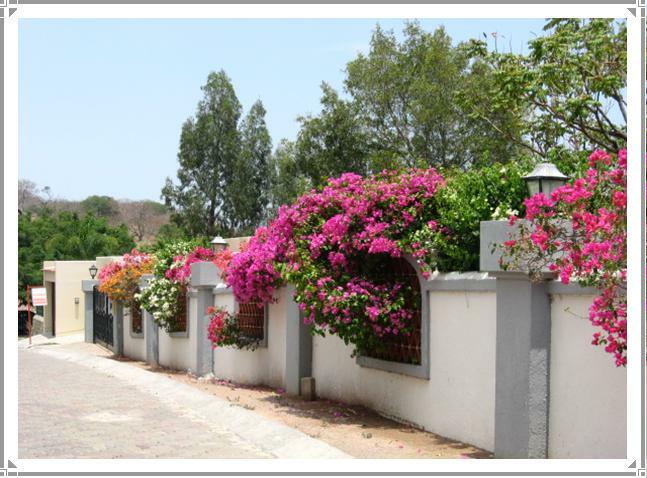 Behind the walls are lovely homes with modern appliances, beautiful gardens, and happy retirees. Here you truly learn not to judge any home by what you see from the curb. Along the highway in San Antonio are several grocery stores, liquor store and meat market featuring US products. 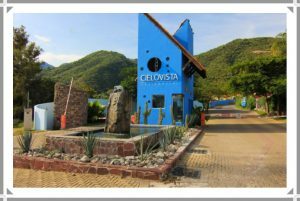 North Americans in their transition period, and after, will find these products satisfy their yearnings.Nearby is the Lake Chapala Little Theater where English productions run through the winter months. Next to it you will find one of two bilingual schools in the area. This is also the location of a very successful, 110 home development called “El Parque”. 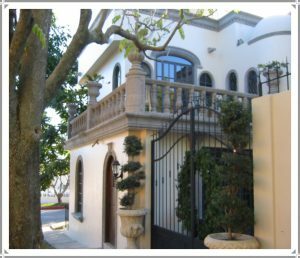 Mirasol is a gated community situated east of Ajijic, on the south side of the Carretera (main thorough way) and borders on the edge of the neighborhood of Riberas del Pilar. It is well situated from the primary shopping area of San Antonio with SuperLake Store, Wal-Mart & Centro Laguna mall and only minutes away from Ajijic. Drive through the gates and immediately you sense the tranquility and peacefulness of this small community. The wide interlocking brick streets are immaculately maintained. Mature, manicured fichus trees dot the streets and vibrant bougainvillea spill over neighbors’ walls. A diverse mixture of different styled homes makes this less of a “gated” community feel. With its recent boom in new building and renovations plus excellent location, Mirasol is an attractive investment and rental potential. Lakeside’s upper Chula Vista is all about stunning views and beautiful homes and gardens. 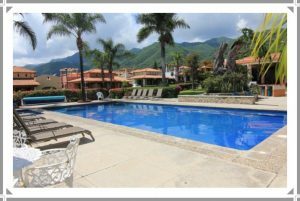 Just a short drive from the village of Chapala and Ajijic’s many restaurants, boutiques and weekly farmers’ markets, this community offers a rare combination of convenience, tranquility, mature, manicured gardens and mountain walks. It also boasts its own Chula Vista Golf & Country Club, with its challenging 9-hole course. Several restaurants, driving range & tennis courts can be found across from the club house. This well-established 25-30 year old subdivision is also minutes away from San Antonio’s excellent services: grocery, meat, fresh fish and liquor stores, a bakery, restaurants, hardware stores, pool services — and even a local theatre. Wal-Mart is minutes away, as is the brand new Laguna Centro mall with its cinemas, shops & outdoor eateries. Chula Vista Norte is a well-established gated community conveniently located on the main by-pass two minutes to the main villages of Ajijic to the west and San Antonio Tlayacapan to the east. San Antonio provides the main shopping area of the Lakeside, with a Wal-Mart, a brand new mall, with a cinema plus restaurants, services and a local theatre. Situated on the mountain side, the community showcases a variety of spacious homes leading up the mountain, each interlocking brick street offering everything from peek-a-boo to panoramic lake views as you climb higher. As you curve around the streets, flowers cascade over high retaining walls. This is the perfect area for getting your exercise—enjoy the views instead of having to watch your feet! 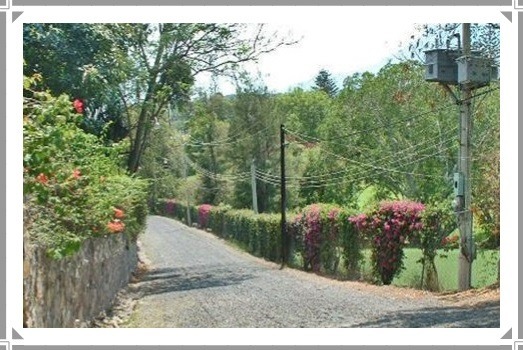 Las Terrazas is an enclave of only 16 homes. 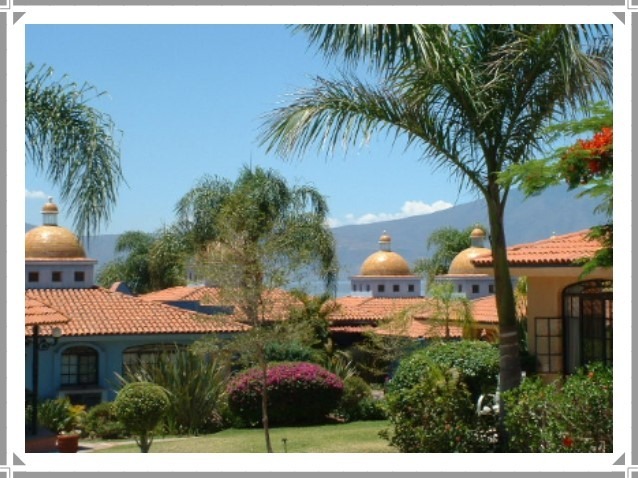 Situated on the Libramiento (by-pass) into the Lake Chapala area, you are close to shops, services and restaurants, as well as our pride & joy, the Lakeside Little Theatre. This community features wide, interlocking brick streets that showcase 16 distinctive homes, each a mixture of contemporary Mexican architecture coupled with traditional accents. Many homes have tiled cupolas— a design unique to the state of Jalisco, which are vented domes that often grace an entry. Las Terrazas has a park-like setting with meticulously maintained grounds, mature trees and a variety of flower beds & succulents. Here everything is looked after—all you have to do and relax and enjoy the lifestyle. For those who wish to travel, you leave knowing that your property is secure and maintained. Cielo Vista is situated on the north side of the Libramiento at the junction of Ajijic and San Antonio. This gated community boasts some of the best lake views AND is centrally located to many amenities. It features tiered streets edging up the mountain side, offering panoramic lake views from each terrace and mountain views from the front door. Underground utilities. A wide boulevard near the entry brings you to the community’s central gathering place. The stunning club house offers a wonderful facility to hold parties, meetings, dances, events and concerts. Just steps away from the heated salt water pool! There is also an equipped exercise room, library and tennis court. Monthly maintenance of approx. $60 USD includes security, street lighting, garbage pick-up, common & pool maintenance. 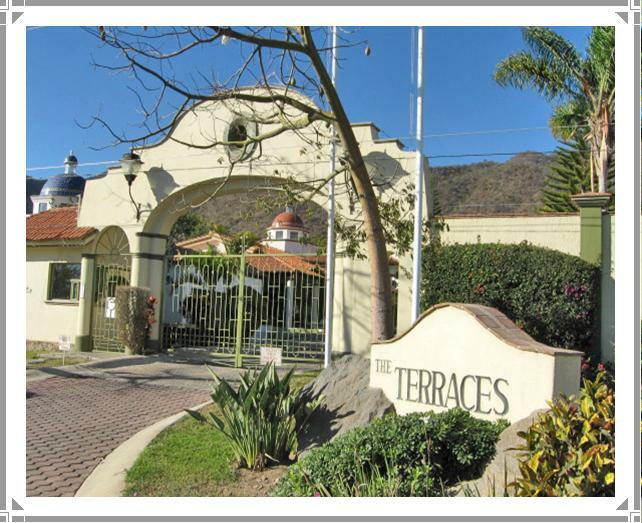 Birds of Paradise is Lakeside’s most well-known and established gated condo community. Built in 1996, it was designed to provide a quality lifestyle of ease, comfort and health in one of Mexico’s beautiful locations, Lake Chapala. Security personal 24-7 (with controlled access) gives you peace of mind, especially when you are away for long periods of time. Birds is also very sought-after for rentals with a long waiting list! This community is a great place to meet a diverse variety of people. 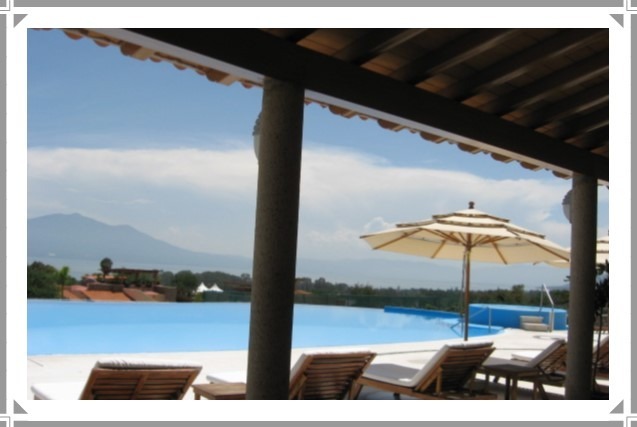 It is situated on the south side of the Libramiento and offers stunning views of the lake. Just 3 minutes east from San Antonio where one of the most important shopping areas of the Lakeside is found. Here you’ll find SuperLake grocery store that specializes in local & imported foods, a butcher, liquor & beer, bakery, several restaurants & services. Our famous Lakeside Theatre is a short walk away. A new Wal-Mart and a brand new mall, Centro Laguna (w/movie theatre) has recently opened up. The quaint village of Ajijic with its narrow cobble stone streets is only a few minutes westbound. El Dorado is just minutes from Ajijic, within walking distance to Walmart and Ajijic’s brand new Centro Laguna shopping mall, and just a short drive away from Ajijic’s many restaurants, boutiques and the very popular weekly outdoor market (tianguis). This friendly community feels like an extended family where ex-pats look out for each other. El Dorado’s luxury development is unique in Lakeside, offering you resort living at its very best. Its heated infinity pool and Jacuzzi (& children’s pool), roof-top terrace afford you unrivaled, panoramic views of the Lake and mountains. A fully-equipped fitness center, 2 tennis courts and spa services have been provided for your health and well-being. A superb Clubhouse with full gourmet kitchen, dining and lounge areas & billiard tables are sure to put you and your guests in permanent vacation mode. El Parque amenities, central location and strong sense of community makes this an excellent and very popular rental choice.